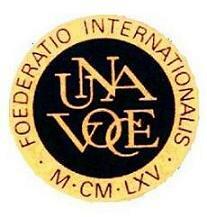 The Foedratio Internationalis Una Voce (FIUV) has launched a new series of position papers intended to stimulate and inform debate about the usus antiquior. Here is a link for the main page for this project with an introduction and the first paper which concerns the Service of Men and Boys at the Altar. Joseph Shaw, Chairman of the Latin Mass Society, is the Moderator of a Liturgy and Spirituality Subcommittee of FIUV which will coordinate the development and publication of the position papers. They will also be available via the Rorate Caeli blog. This project will be helpful as a means of engaging with liturgists, theologians and all who are interested in open and rational debate concerning the reform of the Sacred Liturgy.